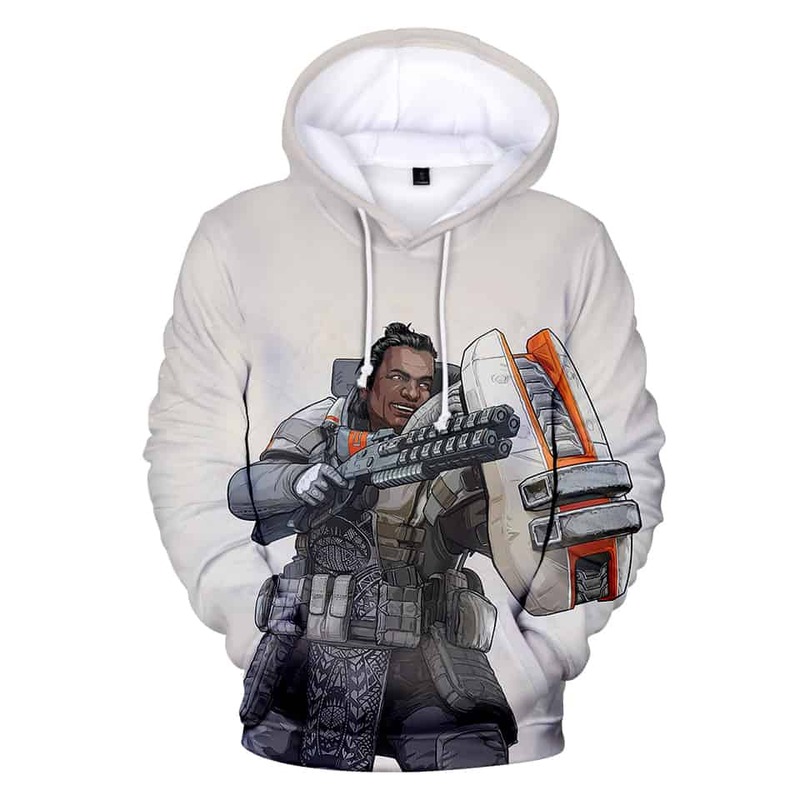 Gibraltar Apex Legends Hoodie features Gibraltar on a white background. Gibraltar is described as a gentle giant with a wild side. A defensive and skilled fighter – definitely a fan favourite. This hoodie features a graphic of Gibraltar and his epic shield.